Wherever you are, you will always be in my heart. Whether she’s across the room or across the world, she’s always in heart and on your mind. 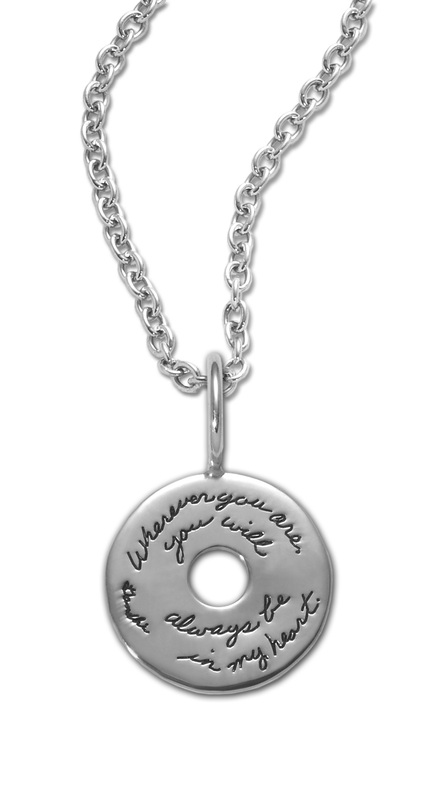 You are connected in a life-giving circle represented by this hand-engraved ring of sterling silver. Whenever she looks at it, she will think of you and your special connection.